In a 10-inch cast iron skillet, cook the bacon over medium heat until crisp, about 5 to 6 minutes. Remove the bacon with a slotted spoon, and set aside. Reserve bacon fat in pan. Cook pasta per manufacturer directions. Whisk flour into the rendered fat. Cook whisking constantly, 2 minutes. Whisk in the milk, salt, mustard, hot sauce and Worcestershire. Bring to a simmer whisking constantly until thickened, almost 15 minutes. Remove from heat. Add both cheeses and stir until melted and smooth. 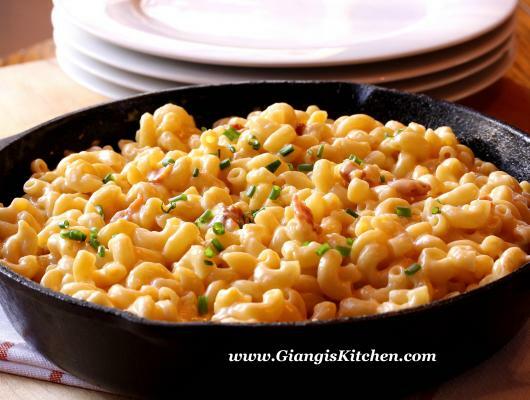 Stir in bacon, chives and cooked macaroni. 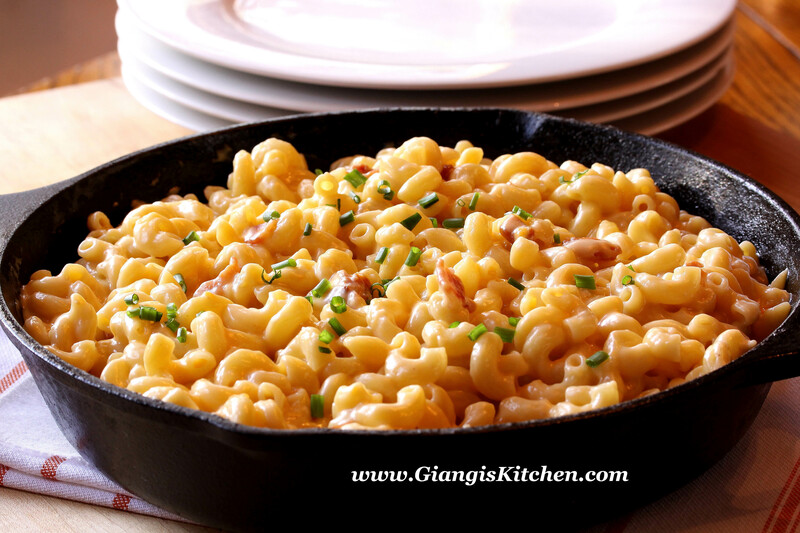 We all love macaroni and cheese, what there is not to love right? but most of all I will never prepare the boxed kind, and that is to my son chagrin. On my quest to find the simplest and most decadent recipe, pretty much all my cookbooks came off the shelves. You should have seen the mess! The below recipe is my adaptation. Simple, deliciously sinful and gooey… with lots of cheese and bacon…. my kind of dish. The best part of this wonderful dish: 25 minutes and you have a great dish that your children, and adults. will devour. Who doesn’t like that? From me to you, start preparing the sauce at the same time you start the macaroni pasta, you want them piping hot to help the last bits of cheese to melt.